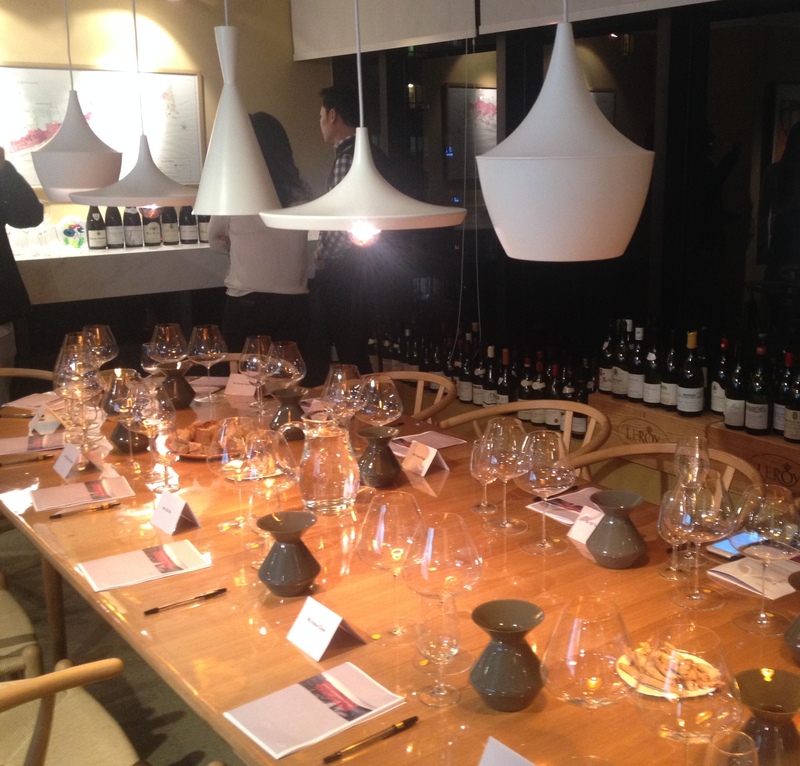 Despite temperatures turning rather cool here in Hong Kong last night I headed out to a semi-blind tasting event at L’Imperatrice in Sheung Wan. The theme of the evening was the Burgundy appellation Gevrey-Chambertin and eight wines were to be tasted – seven from Burgundy and one interloper from the Rhône just to keep us on our toes. My wine of the night was the 2008 Premier Cru Cherbaudes from Domaine Fourrier. As it turns out, 2008 was an “accursed”  vintage with low temperatures, disease pressure, rain and hail to contend with. Achieving minimal ripeness was difficult for many producers and the sorting table became critical to producing a quality wine. The outcome was a nail biting wait for producers to see how the wine went into bottle and developed and I have to say the result from Domaine Fourrier was very enjoyable. Located just south of grand cru parcels, the Cherbaudes premier cru climat provides Jean-Marie Fourrier with vines that were planted in 1940 and he has produced a wine of quality from that tricky vintage and one that has aged nicely too. What I particularly enjoyed, as with all good Burgundy, is the way in which the wine revealed itself over time; first the fruit notes were presented with a touch of spice but as time passed more savoury and animal notes came to the fore with leather and pencil shavings sitting alongside earthy flavours. Jean-Marie Fourrier took over the business in 1994 from his father Jean-Claude and at 23 years of age he began implementing some significant changes to vineyard and winery practices. Two events in his education as a winemaker informed the way he would run the family business; he had spent time working with the great Henri Jayer and from him had come an appreciation of the “less is more” approach to wine making. In Fourrier’s own words, “my job is 80/20 percent in the vineyards, the winemaking is very basic”. Indeed, his grapes are completely destemmed, stringently sorted before being being loaded to the vat for natural yeast to begin fermentation. The cap, or skins that rise to the top during fermentation, is punched down 2 – 4 times each day by hand to ensure even contact between skin and juice until fermentation is complete. The wine is then put in cask for 15 – 18 months before being bottled with no fining or filtration. The other key part of his education was time spent in Oregon at Domaine Drouhin in the early 1990s when this region was relatively new. From Oregon he took away a passion for starting afresh and a confidence for experimentation to find his own style as a winemaker. An example of this would be his approach to oak. While the use of new oak is often associated with quality, Jean-Marie uses less than 20% new oak across all three quality levels; village, premier cru and grand cru. For Fourrier the definition of quality is not related to the amount of oak used but the soil and terroir that produced the fruit for the wine. His aim is to “express the concept of terroir without adding a print of oakiness into it” and he points to wines of the previous century that have aged beautifully without high proportions of new oak. With around 4,000 cases produced each year this wine can be tricky to get your hands on but if you have the chance to experience the wines of Domaine Fourrier I would certainly recommend it. To finish the evening we were treated to a 1984 Sauternes from Château La Tour Blanche. I loved the straw notes of the Semillon (80%) which came through with toasted nuts, sweet stone fruit notes that have moved to the back behind the tertiary characteristics and a healthy dose of ginger – a rather fabulous way to head back out into the cold! Guild of Sommeliers Wine Podcasts: Jeff Kruth and Jean-Marie Fourrier. August 5 2011. 1. Robinson, Jancis. Burgundy Vintages – Red.